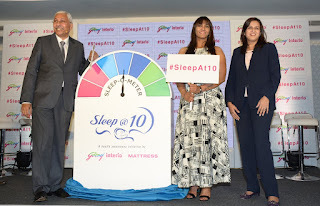 Chandigarh 28th February:- Godrej Interio, India's leading furniture and interior solutions brand, launched a new health awareness campaign- sleep@10. Launched by Olympian, Geeta Phogat, the campaign was born during the product development stage of their healthcare range. #sleepAt10 is an initiative that aims to spread awareness about the importance of good sleep for your physical and mental wellbeing. To aid the sleep@10 concept, Interio has created a sleep-o-meter that hopes to encourage and track our sleeping patterns, thus helping us to maintain a healthy sleeping habit and thus transform our lives. Who better than Olympian Geeta Phogat, India's first ever gold medalist in wrestling at the Commonwealth Games, to launch this program. A living example of discipline and healthy living leading to success, Geeta Phogat spoke about the importance of sleep@10 in her life. She shared instances of her father drawing a strict regime for her and her sisters and one of them being sleeping early by 10pm and getting up by 4am. Expressing her appreciation to the Godrej Interio team for taking up this vital issue, Geeta Phogat said that athletes need immense discipline owing to the high-octane physical activities that we engage in. Sleeping@10 was non-negotiable in my house. Her father ensured we all slept by then. She believes this routine is not just essential for a wrestler but all of us if we wish to have a stress free and healthy lifestyle. Take your diet, daily exercise and even your mattress very seriously, because all of this will lead to a healthy sleeping pattern. Dr. Devnani, Clinical Director at Sleep Disorder Clinic, also spoke on the benefits of sleeping early and how this was a very pertinent conversation for India, given 93% of Indians are believed to be sleep deprived. Voicing her support for the sleep@10 initiative, Dr. Devnani said that sleep is the single most compromised aspect of life. The addiction to technology and multiple devices all through the day and accessing them immediately before sleeping is also on the rise. Sleep@10 aims to help us follow a regime that will lead to healthy sleeping habits and avoid stress and other health diseases that result from insomnia. She also added that it has been medically proven by experts that the best time to sleep is at 10pm since it perfectly coordinates with the sun's patterns. Therefore, if one aims to win in life, seize the day, and attain a stress free mind and healthier body then they need to #SleepAt10. Commenting on the sleep@10 concept, Anil Mathur, COO, Godrej Interio, said that Sleep@10 is a concept that actually emerged from the product development stage of our healthcare range. As we delved deeper, we realized the concern was much larger than just selecting the right mattress. Most of India is sleep deprived. This has to be spoken about in order to ensure a much productive and healthier us. Misuse of new age technology might be playing an important role towards this and it's our responsibility to seek for a healthier lifestyle. The new healthcare mattresses are a unique range, an optimum blend of cushioning and support. It is made in a way to provide the right kind of support and cushioning without being too soft or rigid to keep the natural posture of body intact while sleeping. The range, priced between Rs. 7500 –Rs 75,000, is currently available at your nearest store in the city pan India. Chandigarh 28th February:- A good horror movie can build fear in the bravest of hearts and to give its viewers a spine chilling experience, Zee Action, India's Hindi action movie destination will premiere the hair-raising horror film Manjulika Returns on Saturday, 4th March 2017 at 8 PM. Directed by Bhanu Prakash, Manjulika Returns revolves around Shiva (Manoj Nandan) a middle-class guy who dreams of being an actor. His close friend Madan (Anil Kalyan) is bestowed with a litigation-stuck property and decides to lease it out to a film crew with a hope getting some work for his best friend. To Shiva's luck, he bags the lead role in this film starring a budding actress Hansika (Chandini). The crew settles down in the farmhouse and as time passes, strange things occur during the filming. Just when the truth about the mansion emerges, Hansika gets possessed by an evil spirit. Chandigarh 28th February:- A resurgent Delhi Capitals hold on to a comfortable lead to defeat the Haryana Gold 114-101 thanks to strong contributions from five players finishing in double digits. Delhi Capitals fielded a starting five of lineup of Amjyot Singh, Ronald March, Ajay Pratap Singh, Smithin Settu and Vinay Kaushik. Haryana Gold started with a lineup of Prakash Mishra, Eban Hyams, De'Sean Mattox, Jaskaran,and Birender Singh. Yadwinder opened the second quarter with an up and under move for two inside. Bek hit a long two to give Delhi a 33-27 lead and Anil added two in transition as Delhi threatened to run away with the lead. Akashdeep capitalized on his size to bring Haryana within 42-37 with a pair of buckets up close. Sridhar hit a three while being fouled. At the end of the second quarter, Delhi led Haryana 59-46. Anil and Mattox exchanged layups to start the second half. Vinay's three pointers pushed Delhi's lead to 71-51 as Delhi threatened to run away with the game. While in some of their past games they were led by March and Amjyot, they found important contributions from numerous sources. Mattox brought Haryana within 74-57 as they battled valiantly to stay in the game. At the end of the third quarter, Delhi led Haryana 84-73. Eban opened the fourth quarter with a twisting layup inside and March answered him with a floating layup inside. Amjyot Singh shone in the fourth as he hit March for an alley-oop and followed it with five quick points to push Delhi's lead to 95-79 with 7 minutes left in the game. Eban's three pointer brought Haryana within 107-98 with 2:42 left in the game. March answered on the other end to help Delhi hold on for the win. Chandigarh 28th February:- Students of Jagriti, a parallel school for the economically marginalized section being supported by DAV-8 Pkl. Presented a group song in the Annual Day of Shivalik Foundation (Regd.) an organization which also promotes the interest of academically inclined but needy children. The group song which drew the attention of the audience towards the opportunities which have remained elusive as well as their determination to become self reliant was highly appreciated by all. The Chief Guest of the event was Sat Pal Jain, Additional Solicitor General of India and part time member, Law Commission of India. 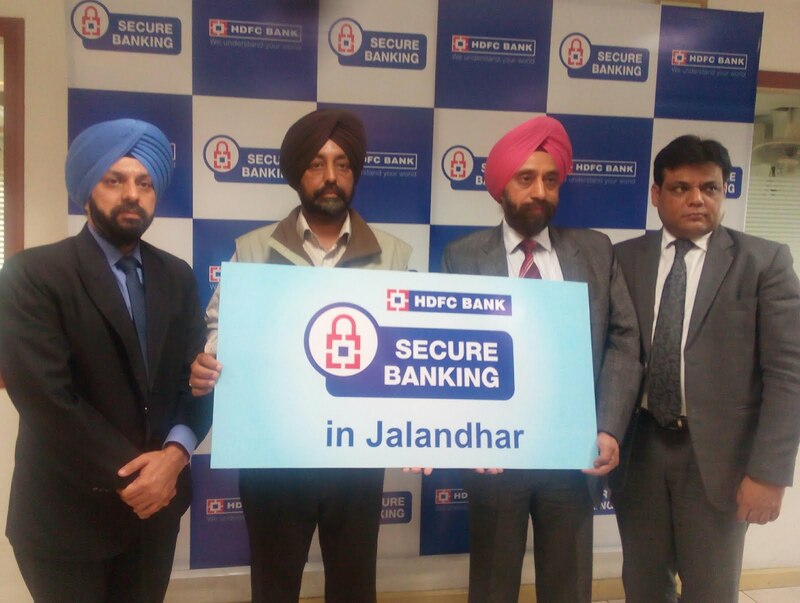 Jalandhar 28th February:- HDFC Bank Ltd., today launched its Secure Banking programme at Jalandhar in Punjab. The initiative is part of HDFC Bank's ongoing endeavour to create customer awareness about safe banking practices. The programme will be rolled out across 20 branches in Jalandhar to educate customers and create awareness among general public. 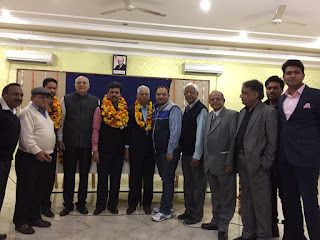 At a function organized in the city, the initiative was launched by Iqbal Singh Guliani, Zonal Head –Punjab, HDFC Bank, in the presence of other senior HDFC Bank officials. The 'Secure Banking' initiative comprises a series of workshops, which educate customers through presentations, on matters they need to be careful about, while conducting banking transactions. This includes using net banking, mobile apps, transacting at ATMs; using debit or credit cards at POS terminals, merchant outlets, and online banking. These workshops are also open to the general public. Both customers and non-customers are welcome to attend the series of workshops, which will be conducted at various branches across India on a regular basis. In addition to the branches, various other channels like ATM screens, mobile banking app, and the HDFC Bank website will be used to spread awareness about Secure Banking. Iqbal Singh Guliani, Zonal Head Punjab, HDFC Bank said that Banking in India has made tremendous progress in the last two decades and it continues to evolve further. With the advent of technology, customers need to be educated on possible frauds they can fall prey to. An alert and well-informed customer is less likely to inadvertently disclose personal banking details. Through this simple presentation, which educates customers about the dos and don'ts they must follow while using these platforms with the help of real-life examples and case studies, we hope to create greater awareness of safe banking practices among general public. Chandigarh 28th February:- Ludhiana's Aditi Swaraj Sharma has been declared the winner of the Mrs India Globe 2016 title. Subsequent to her winning the title, she went onto represent her country at the Mrs Globe 2016 finals held in China. Chandigarh's Gurmehar Grewal was declared the winner of Mr India Manhunt International 2016. He represented India at the world finals of Mr Manhunt International held in China in November 2016. Mrs India Globe 2016 saw Shalini Sood of the US being crowned first runner up. She was also crowned Mrs India United Nations International 2016 and will be going to Jamaica in May 2017 for the international competition. Delhi's Sushma Bharti was the 2nd runners up at the pageant. Telengana's Abhimanika Yadav was 3rd runner up and was crowned Mrs Asia Pacific Universe 2016. She will be going for the world finals later this year. In the Classic Section Above 45 years, Bengaluru's Veena Jain was crowned the winner. She will be representing India at the International Mrs Globe Classic to be held in Las Vegas this year. Bengaluru's Gayathri Sandeep was the runner up in the Classic Section and was crowned Mrs Indian Ocean Globe Classic 2016, She will also be travelling to Las Vegas for the international pageant. In the Mr India Manhunt International pageant Eklavya Sood from Solan HP was the first runner up. Alester D'souza from Mangalore was 2nd runner up and will be representing India at the International finals of 'Man of the year' in Indonesia this year. Sunny Mehrotra from Lucknow has been crowned Mr India Men Universe 2017 and will be representing India later this year at the world finals to be held in the Dominican Republic. Madhav Sharma from Hoshiarpur will be representing India at the 'Men of the World' 2017 to be held at Philippines. Mohammed Imran Hussain will be representing India at the Mr India Tourism International World finals 2017 to be held in Panama in April 2017. Chandigarh 28th February:- Prof. Subash Varma, Acting Director PGI honored eight officers and officials on their superannuation today by presenting mementoes to them. Amitabh Avasthi, DDA, Dr. Anil Kumar Gupta M.S and Sushil Kumar Thakur, Financial Advisor handed over beneficiary cheques comprising GPF, gratuity and group insurance. Respective heads of departments wished them well in life by presenting bouquets to them. 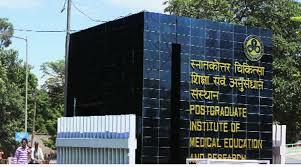 Chandigarh 28th February:- The Postgraduate Department of Commerce at MCM DAV College for Women organized a UGC sponsored national seminar on 'Retail makes headway, pulling out all the stops: An Indian Perspective', here today. Aimed at engaging in deliberations on the global phenomena that retail is and examining the various facets of this dynamic and fast paced industry from the Indian point of view, the seminar saw convergence of academicians as well as students from across the nation. Chief Guest Prof. Parvinder Singh, Controller of Examinations and Dean, College Development Council, PU in his inaugural address, reiterated that liberalization coupled with strong economic growth has revolutionized the retail space in India, but the opportunity to capitalize on this upsurge is riddled with the challenge of merging the organized and unorganized sectors of this industry. Delivering the presidential address, Prof. Amrik Sohal, Monash Business School, Monash University, Australia termed e-commerce as the biggest revolution in the retail industry and opined that successful retail management in this tech-savvy world entailed managing customer experience, bridging the physical and virtual worlds and a unified communications framework. The keynote speaker on the occasion- Prof. Manoj K. Sharma, UBS, PU shared his insights on 'Strategic behavior of firm in building retail'. During the two highly informative and engaging technical sessions, paper presentations explored topics like impact of GST on retail sector, FDI in retail, digital payments, innovative practices in retail, future prospects, opportunities and challenges of Indian retail industry, e-tailing, store choice in organized retail, women empowerment in retail sector, showrooming, online consumer behavior, technological interventions in modern retail industry and, human resource management and corporate social responsibility in retail. The seminar concluded with valedictory address by Prof. S. K. Chadha, Chairperson, UBS, PU. While underlining the role of technology in revolutionizing the world of retail, Prof. S. K. Chadha opined that the biggest challenge for the retail sector lies in leveraging the digital retail channels through effective adoption and implementation of these technologies for better prospects for the overall retail industry. MCM Principal Dr.Nisha Bhargava highlighted the contextual importance of this endeavor in providing valuable insights for a better perspective of the retail industry. Chandigarh 28th February:- STAR PLUS' most unique singing reality show 'Dil Hai Hindustani' celebrates the popularity of Bollywood music through talents from across the globe, from different cultures and nationality, bound together by their love for Hindi Bollywood songs. Dil Hai Hindustani is a musical extravaganza showcasing phenomenal performances through not just solo, but also duet and group performances consisting of bands, choirs, acapella; a first of its kind on Indian television. Ushering a new league in singing reality shows, Dil Hai Hindustani has changed the way music shows and singing talents have been perceived in this country. The talent on the show will be judged by an expert panel of jury who has together put India on the world map for music. The panel of judges will consist of maestro of the music industry Shekhar Ravjiani who has handpicked singers for the show. Along with the ace music director who is known to stir emotions with his compositions, will be joining Director Karan Johar who is known to have a quench for talent. Bollywood's music sensations Shalmali Kholgade and Badshah are seen monitoring the contestants and judging the show. Simran Raj, the youngest of the lot in Dil Hai Hindustani, has managed to win everybody's heart with her voice. Her powerful voice combined with an array of power packed performances has helped her enter the top 8 of this unique Singing Reality show. Amongst the toughest competitors full of melodious performers from across the globe, Simran has managed to make her mark on this show and has been a favorite amongst the judges. A powerhouse of entertainment and chota packet bada dhamaka is what describes Simran Perfectly. With her soulful voice, all the judges have shaken a leg demanding a repeat of her performance. Bollywood's rockstar, Mika Singh, specially came upon the platform of Dil Hai Hindustani on Simran's birthday as a surprise to her and she couldn't control her happiness when she sang in front of him and was loved and praised by all. The little one, who has come all the way from Delhi, to win everyone's heart, comes to Chandigarh to give a taste of her flavors on Dil Hindustani. Amazed by how far she has come, Simran said that she is truly blessed to have come this far. She never expected that she will be amongst the top 8 of Dil Hai Hindustani. She adores all the judges and she is very grateful they have always been a mentor to her. Being the youngest in the lot she always feel pampered and all the contestants and the entire cast and crew are like family to her now. Chandigarh 27th February:- MTPA India conducted a five city Roadshow in Chandigarh, Pune, Nagpur, Hyderabad and Kolkata from 27th February to 4th March 2017. The objective of the event was to offer Indian travel partners an opportunity to become acquainted with the destination and meet the hoteliers, DMCs and activity companies. Sanjay Sondhi, Managing Director, OM Tourism said that this Roadshow will serve as a great platform for the Indian tour operators to have a meaningful dialogue with the 23 suppliers from Mauritius that include hotels, DMCs and activity companies. The Roadshow was led by Vivek Anand, Country Manager; MTPA India said that the response of the travel trade partners was amazing. The objective of the Roadshow was to update the travel fraternity and help them forge business ties with the Mauritius suppliers. He added that we have seen a growth of 15% in Indian tourist arrivals last year, taking the number to 83,000. We are targeting 100,000 tourists in 2017, which is an increase of 20% over 2016. We expect a healthy growth in the MICE and Wedding segment and will be promoting Mauritius as a destination 'Beyond the Beach'. More and more Indian travelers are planning to travel to the affordable luxury destination, Mauritius. We are getting enquiries for a few Indian weddings. Producers are also showing interest in shooting Bollywood movies in Mauritius. Vivek Anand, while describing the tagline "Mauritius- It's a pleasure" said that Mauritius offers amazing activities for adventure lovers like sky diving, zip lining, quad biking, sea karting, submarine rides, helicopter tours and also a life time experience of walking with the lions. Rum and tea tasting tours are also gaining popularity among the tourists. Those who are sports minded, can enjoy a game of Golf at one of the many championship level courses in Mauritius. Indians, while in Mauritius, will definitely enjoy long drives, shopping, night life, delicious cuisine or simply rejuvenate themselves at the world class spas. Mauritius is a perfect MICE destination. Besides its natural splendor, the island has all the key facilities required for organizing successful meetings, conferences and events. Luxurious hotel accommodation and DMCs geared towards providing all facilities required for large Indian weddings has made Mauritius a popular wedding destination. About Mauritius: Mauritius is a sparkling crystal in the turquoise waters of the Indian Ocean. "Mauritius – it's a pleasure" is apt to describe the unique and spectacular island, as it is an oasis of peace and tranquility and promises an exclusive holiday to everyone, be it newlyweds, families, individual travelers or large corporate groups. The warm Mauritian welcome, the safe beaches and gentle seas make the destination a great place for a family getaway. There are lots of thrilling activities in Mauritius for you at every turn like kite-surfing, deep-sea fishing, skydive, trekking, paragliding, scuba diving, sky diving, sea-karting, submarine drive, riding cruiser bikes, helicopter & seaplane trips etc. The other interesting activities are sea-karting, submarine drive etc. You can enjoy dolphin watch or a lunch or dinner on a private island, cruise on a private catamaran or yatch. OM Tourism was set up to handle outsourced sales, marketing and Media Relations for Luxury hotels chains and National Tourism Boards. Amongst OM Tourism's clients are Grand Resort Bad Ragaz, Visit Indonesia Tourism Office, Vietnam National Administration of Tourism, Mauritius Tourism Promotion Authority and Promperu. 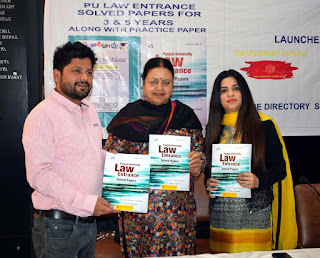 Chandigarh 27th February:- The latest edition of Panjab University Law Entrance Solved Papers for 3 & 5 years Law along with Practice Test Papers and Latest Current Affairs was released by city Mayor Asha Jaswal at Press Club here today . This is the 5th edition of this series and is completely updated. This book is published by Shreeram Law House. 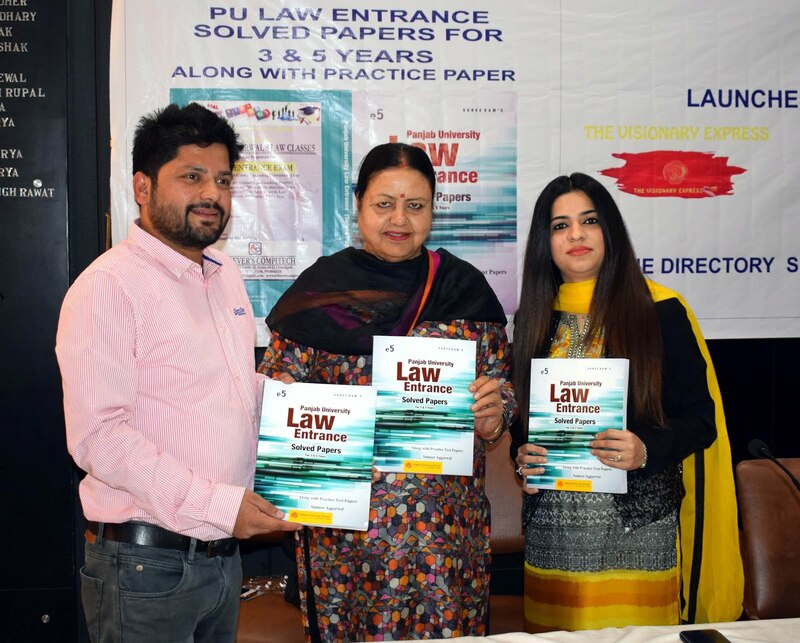 It is compiled by Sameer Aggarwal the Advocate, who is running a Law Entrance Coaching Academy in Sector 44 which is an only specialized Academy in city providing ample direction to the students aspiring for a career in law and produces maximum admissions every year. 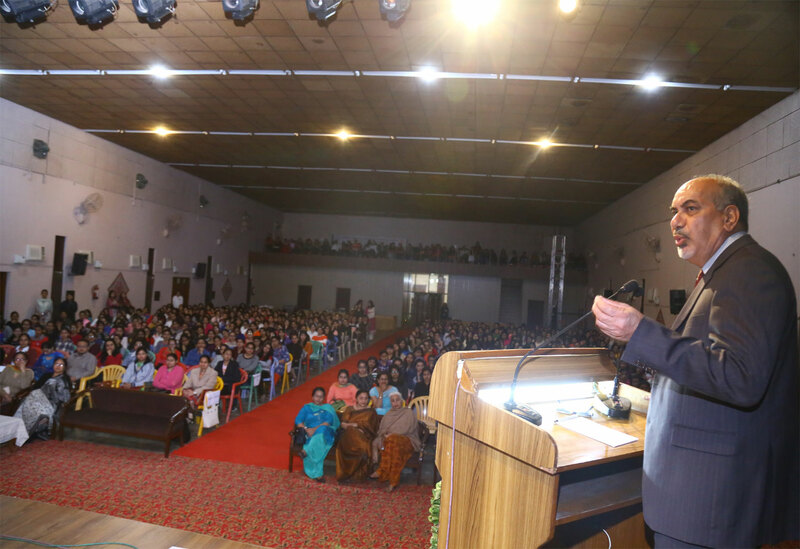 Meanwhile speaking during occasion, Sameer Aggarwal said that this new book is a golden opportunity for the students who want to crack the Law Entrance Exam. The book includes past papers and practice tests, which gives a clear picture of the pattern and topics which should be studied. Sameer Aggarwal further informed that through this book the students will also get in touch with the latest current affairs of India as well as of the world. Thus this book is a complete package and will definitely make 'today's believers tomorrow's achievers.